One of AirComUSA's highest priorities is business fax numbers. Most businesses still rely on faxes to conduct business transactions. At AirComUSA we take the fax machine out of the faxing process. We save businesses both money and time as we provide more efficient systems for sending and receiving faxes. We are able to accommodate businesses of all sizes. For businesses with ten or more fax numbers, we will create a unique sign up page for your company and assign a Company ID. 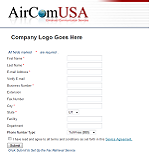 This page is simple and easy for the company administrator to add accounts and keep track of the people in the organization who have an AirComUSA account. To set up a Company ID call (888) 530-9100. When someone in the company needs to have a business fax number the company administrator simply fills out the online form or emails the URL to the individual who fills out the needed information. 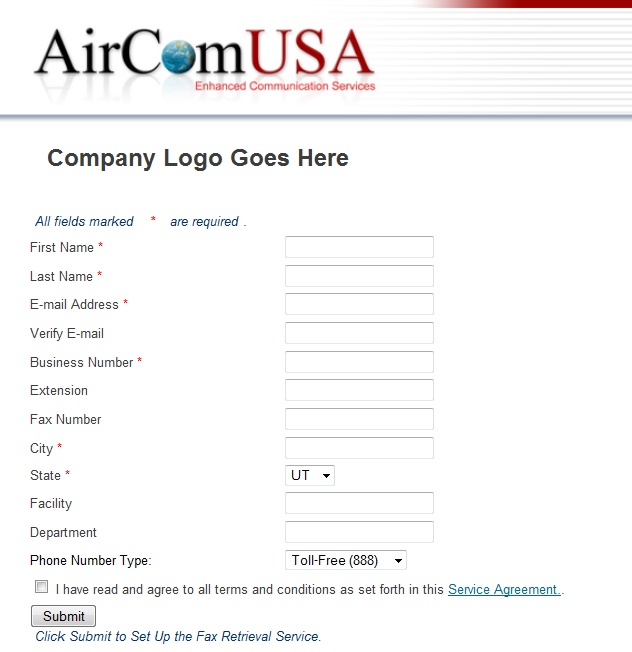 AirComUSA then sends that person an email containing their new business fax number and account number. You will then start receiving the faxes that are sent to the business fax number that we gave you in your own email inbox. These faxes come to you in either a .tif (default) or a .pdf file type. There is no need to search through stacks of paper faxes anymore. All of your faxes will now be easily manageable emails. There is an added security knowing that your faxes are going to come straight to you and not to the company fax machine. Your faxes will use your own personal business fax number. For more information on business fax numbers go here.